The easiest way to lose focus is to do too many different things at the same time especially as an SME. Someday your business will be overwhelmed, you will have so many disgruntled customers. This is not good for your business. When Jumia kicked off in Nigeria in 2012, it started as an eCommerce company offering a platform to order appliances, gadgets and household items. As Jumia grew, so did its offering grew. It enhanced logistics with Jumia Services, created its own payment platform with Jumia Pay and you can order food, book flight, and hotels. This is in a space of 6 years. 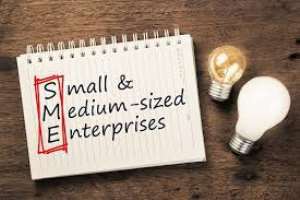 So, as an SME, focus on one specific goal from the onset and expand as your market share expands.